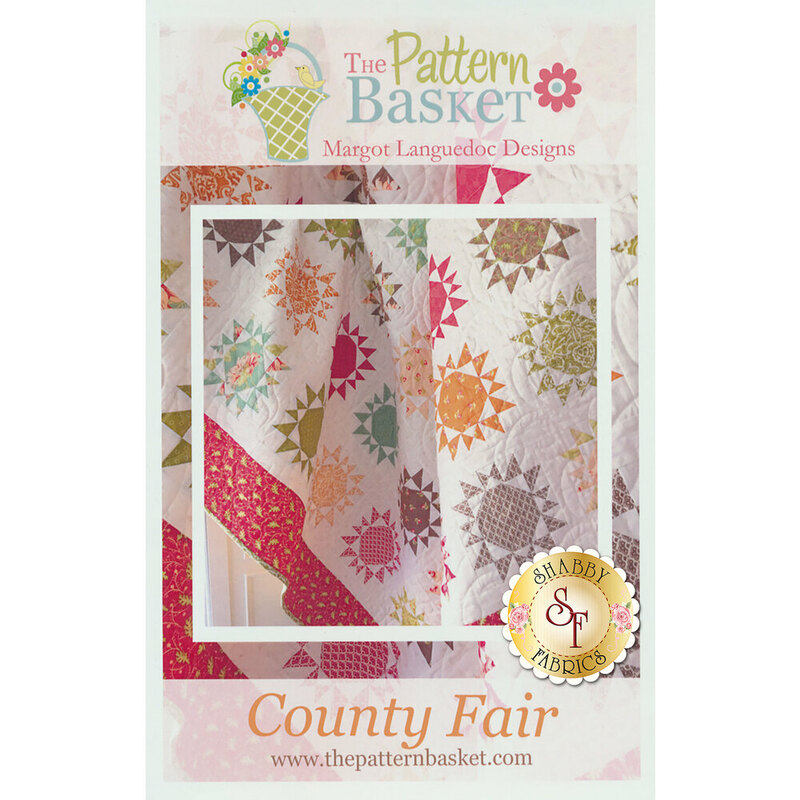 Create a lovely pieced quilt with this striking design: County Fair from The Pattern Basket! Use a layer cake from your favorite collection to make a quilt you'll love! 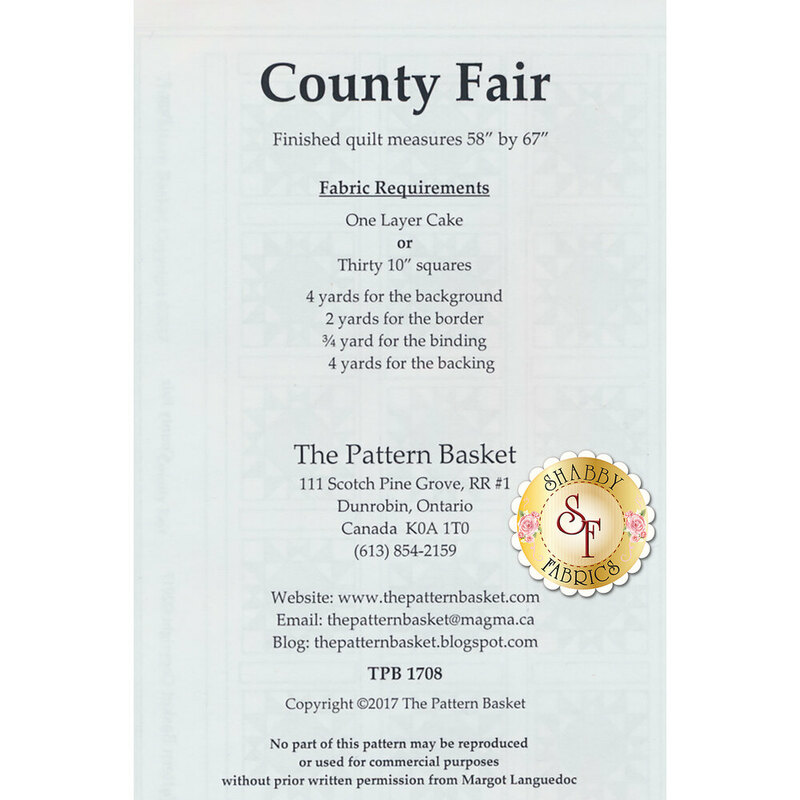 This quilt measures approximately 58" x 67".